L-theanine, a unique amino acid present almost exclusively in the tea plant (Camellia sinensis), has been used safely in Japan for decades. L-theanine has demonstrated the potential to positively modify brain waves and key neurotransmitters involved in mood, focus, and memory. 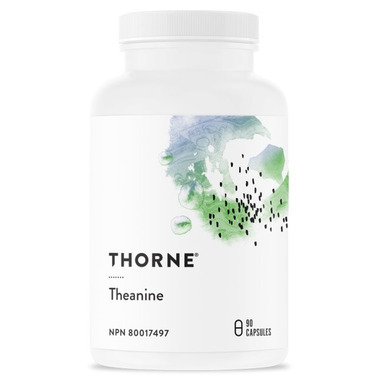 Consumption of L-theanine enhances brain alpha-wave activity, a sign of relaxation, within 30-45 minutes of supplementation. Take one capsule daily or as recommended by your health professional.